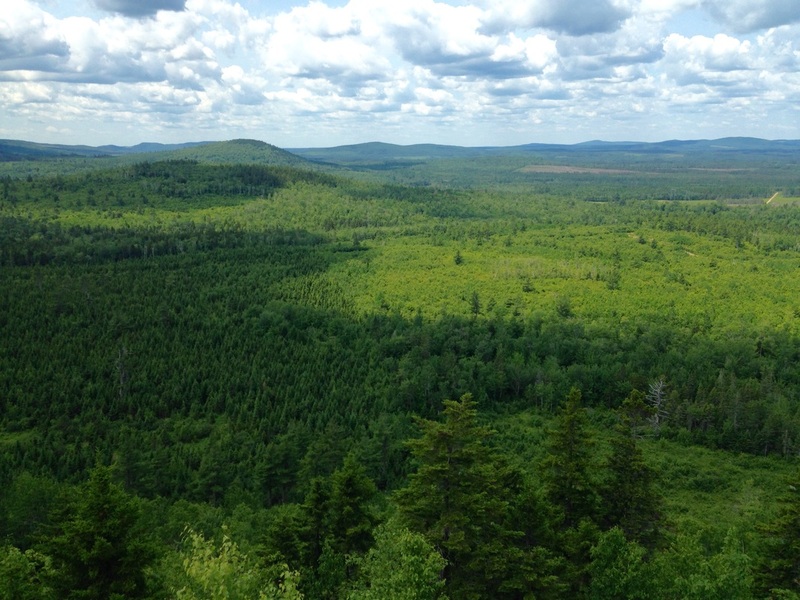 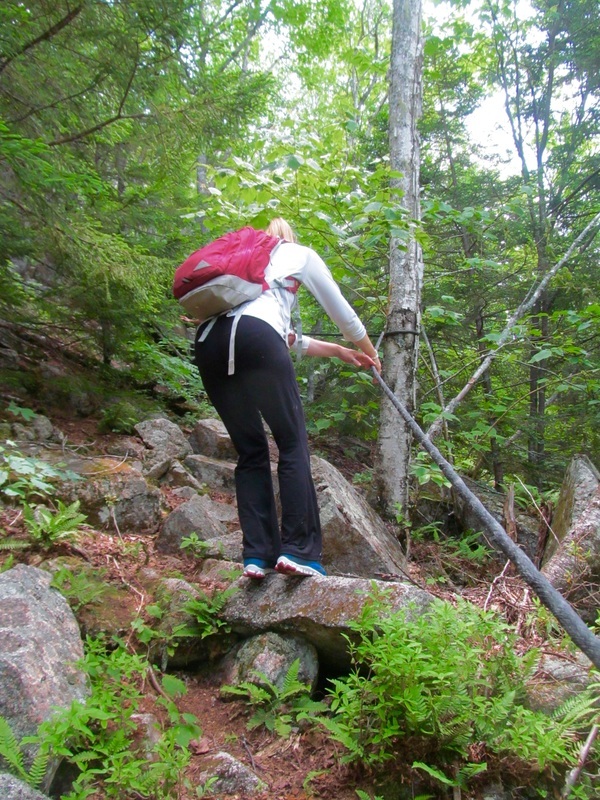 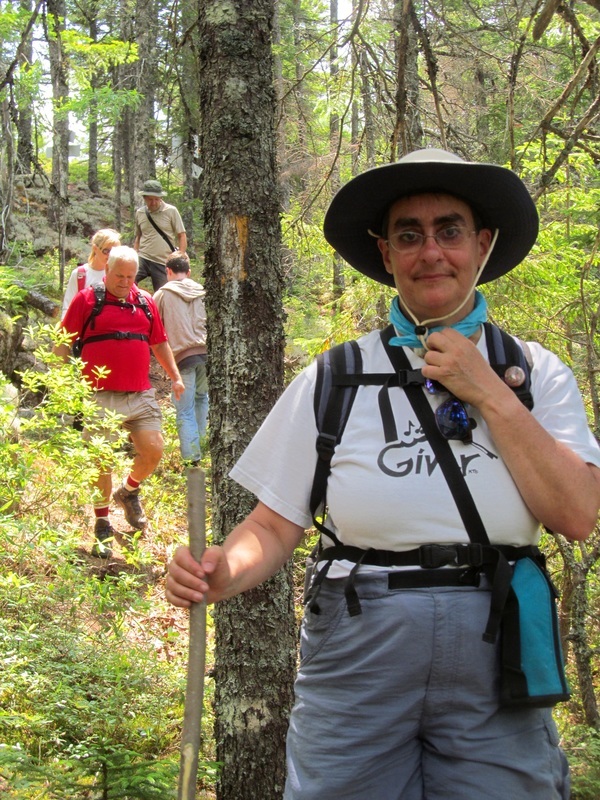 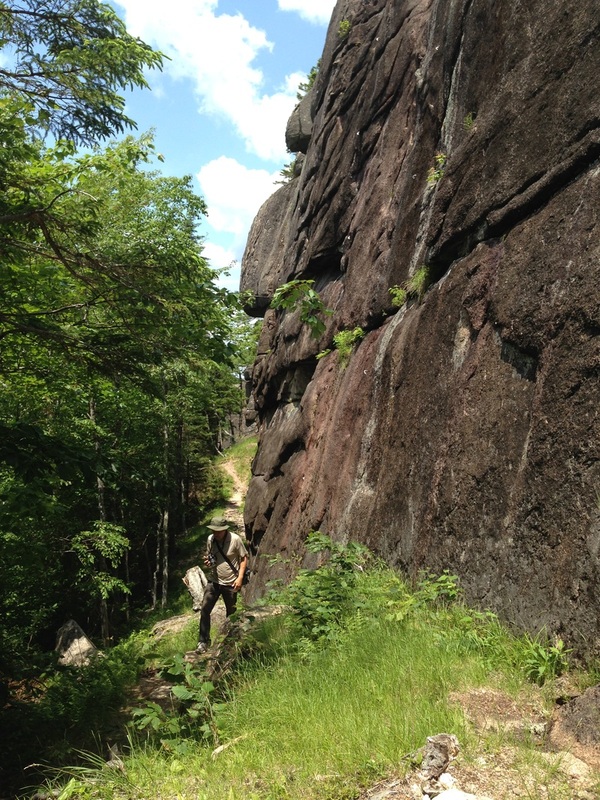 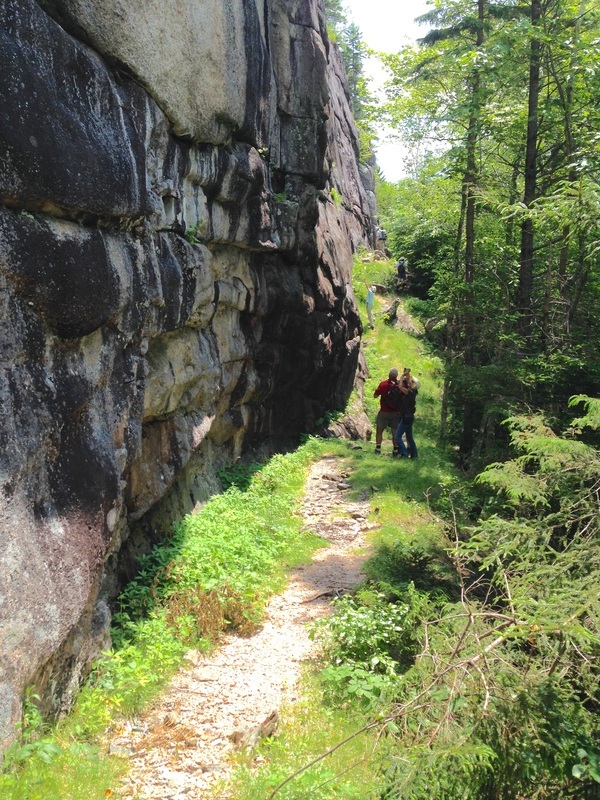 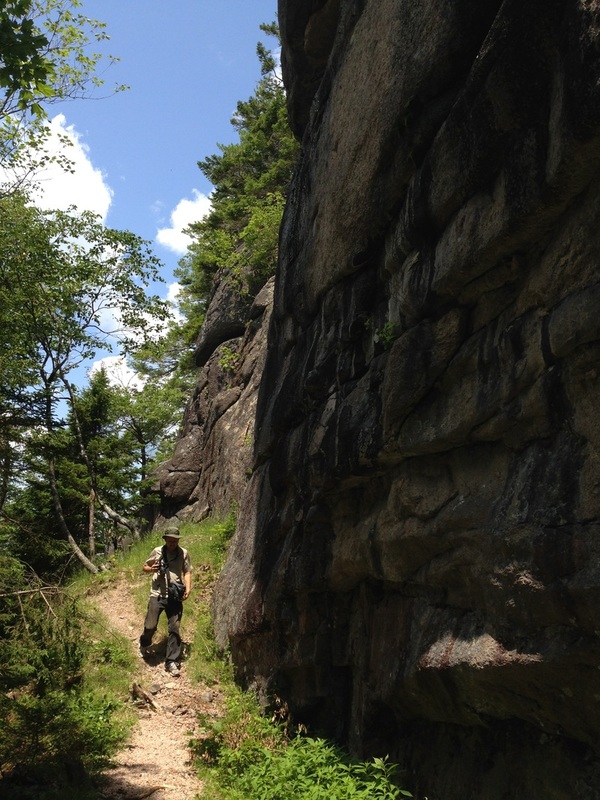 Hike up Bald Mountain as well as visit several waterfalls in the Welsford, NB area. 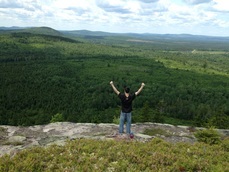 This is a 180 degree panoramic of the summit of Bald Mountain. 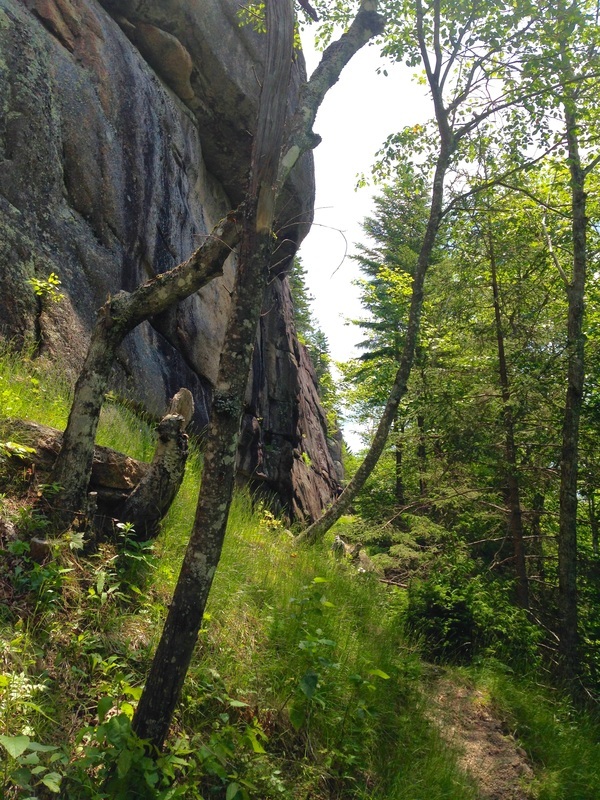 The cliff face is straight, not the curved you see here due to the distortion of the panoramic. 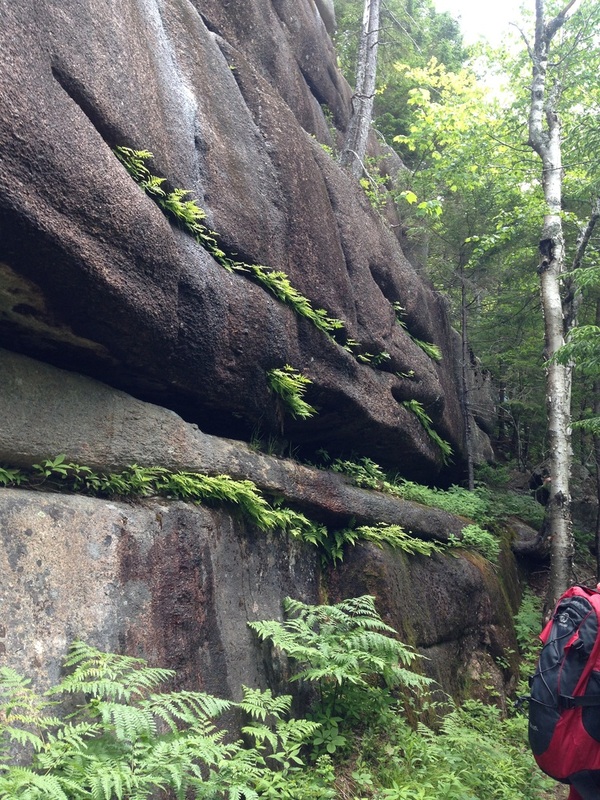 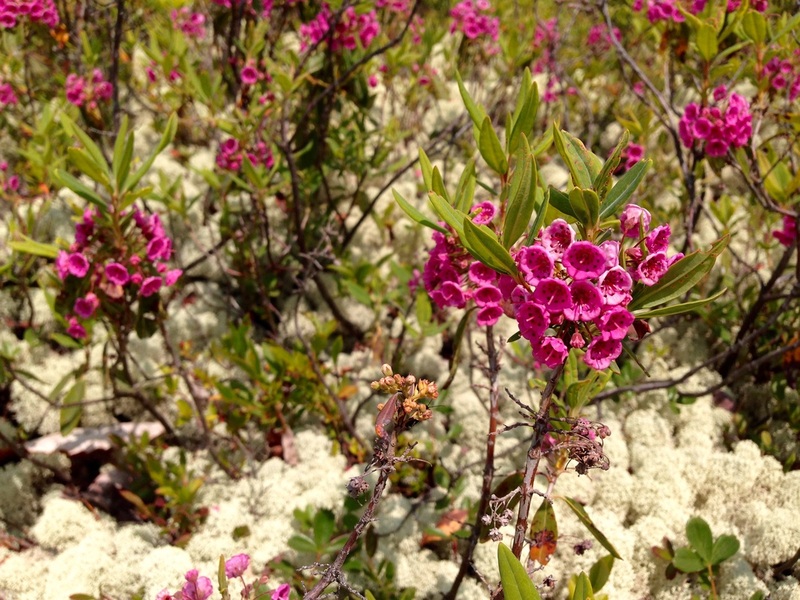 This edge was called "Nature's Boardroom."